This year’s theme is X: the Roman numeral that signifies the number 10, and the letter X that represents an open signifier. It’s a time for both a backward reflection and an imagining of possibilities and futures. 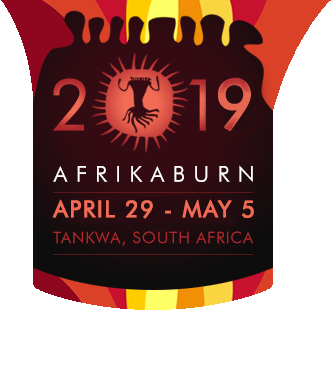 With the tenth incarnation of Tankwa Town in 2016, contemplate a decade of the evolution of AfrikaBurn; pay homage to what has been and to entertain the possibilities of what’s yet to come. And of course, like any good theme, there’s a great poster to go with it. Check that out here. Different permutations of “ten” as a theme were proposed by: Tony Meintjies, Sam Pearce, Gerhard Gibbs, Karen Ensler and Bishop Loon. The title “X” was submitted by Anthea Fuller, and inspiration was taken from Jonathan Jubber’s “Generation” proposal. Theme development and words were contributed by Monique Schiess. Facebook and Twitter). This year no less than 254 submissions were received. • We come to agreement on the look & feel. • After that, we go through the proposed themes and choose an appropriate short list. docs, this is optional for these teams, but we often get nice input. • We mull on it and reconvene and discuss more. • Artcom passes their proposed theme through the directorship for approval. • Go to Tankwa and make fabulous things. Brad Baard, Roger Van Wyk, Shani Judes, Robert Weinek, Conrad Hicks, Samantha Bendzulla, Monique Schiess and Isa Marques.